My sister Jenny is 3 years old younger than me. She has two big, bright and beautiful eyes with oval face and long black curly hair with colorful glasses. All of us are proud of her because she bears the expectations of everyone and entered a famous junior high school with her own efforts. My sister’s parents bought her a mobile phone for rewarding her of reaching their target as well as encouraging her to study better. Sixteen years old is a girlish age, a beautiful youth. Girls wish to have a very first kiss from their secret boy and dreaming desirably to have an everlasting romantic love story just like Edward and Bella in twilight. So as Jenny. She had a crush on her classmate and was so terribly tempted wanted to express her felling to him tell him what she thought. The day was Friday afternoon, only half of students were in the classroom after finishing lunch. Jenny went to her seat and pulled her classmate out to a small garden outside the school. Her face brushed like a reddish apple. She prepared a bracing statement for him, she even practiced the dialogue every night before sleep just for making sure they wouldn’t be mistakes. She took courage and told him that she liked him. But the boy refused her because she is not his type. While she was talking, I even could see the tears in her eyes. She is so simple, so innocent that got hurt form her very first love. Next day she came to class, all of her classmates made fun of her, including her best friend because her classmate told everyone in the class that Jenny expressed to him but he refused her. Her teacher called her to the office, instead of comforting Jenny, her teacher critized her puppy love have leaded to a bad impact on the class. She cried. She told me that she would never forget that cry, her forst cry in junior high school, her first cry in front of the whole class with still a group of classmates bullying her for snubbing her and pushing her out form the classroom. Her best friend came to her place and mocked at her loudly. “How could you be so confident when you decided to express？” “You are not rich. You are not beautiful. You don’t even have a car at home.” Those phrases loudly spoked by her best friends, while others were peering at her. She ran out of the class and went home. There is a famous quote said by Phaedrus, ‘things are not always what they seem’. Jenny started to skip classes. Her mother sent her to school everyday by bike. When Jenny entered the gate of the school, she started to be afraid of laughters, she ran as fast as she could to the classroom in order to avoiding others’ sights, she would definitely choose to put on a mask to cover her face if she could. Teacher’s and classmate’s incomprehension and ridicule killed her fantasy of good love. When she was ready to face the class, when she was ready to give a step to herself, she hesitated and hide into the washroom until school ends. She even added a lot strangers to chart to chat and fell in love with one of them. She skyped with him and even hang out with him. Under her parents. She is satisfied with her surroundings, she has a lot of friends in another world behind the mobile phone. She gained happiness and ‘true love’ from her netizens. Her teacher asked her to quit school because she never came and never did homework., her mother even resign her job only for taking care of her daughter because Jenny had suicided once at home, in front of the desk. Mum took Jenny to see a psychiatrist, the result is that Jenny got Atypical Depression, is much more harder to treat than depression. This Spring Holiday I went back to China to visit her, she kept herself in her own little world, refuse to communicate with others, ears tight with headphones, never raises her head with two big, dark eyes. Everyone tried to help her, but all the reflections on her still seemed helpless. 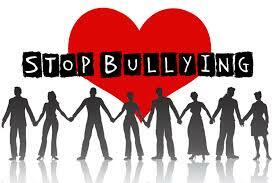 School bullying is the most childish behavior. They kill the students’ dreams. The teacher’s failure to understand is precisely the last step in killing the students. They did not make explanations and comforts at the appropriate time, Instead, they criticized the students blindly. I remembered once I asked Jenny, what do you think of bullying? She said, ‘Words can hurt. They hurt me. Things were said to me that I still haven’t forgotten’. Let’s stop school bullying together. Give love to students who had been bullied, understand them, care them, love them and encourage them to stand up and speak up for themselves. Two practises I am proud:My narrative essay purpose’s purpose is stated explicitly, and also my narrative essay has a good beginning. Ms Burton, I learned this chapter on Youtube by myself. And I took some notes. The vertex of a parabola is its highest or lowest point. (_,_) The vertex may be a maximum or minimum point. It is common knowledge that everyone has stereotypes. What’s your first impression of aboriginal people if you haven’t seen them before? 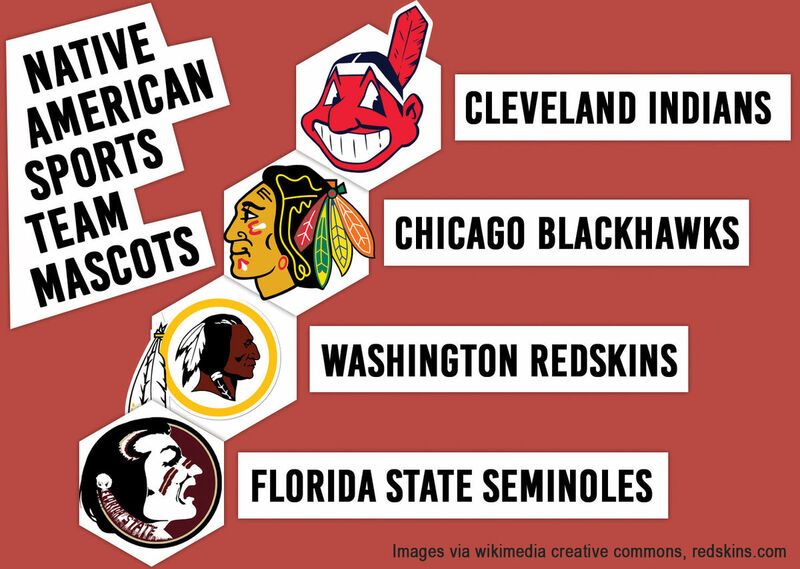 It has been a long time since the first sport team used mascots as logos or names of First Nations. Was it a correct decision? In my opinion, teams shouldn’t be allowed to use a First Nation’s name or caricature as their logo because that offenses them. Time flies: the confliction between Aboriginal people and five sports teams (Atlanta Braves, Red Skins, Chicago Blackhawls and Edmonton Eskimos) hasn’t been reduced, only gotten worse and worse. Says that the survey “Native American mascot controversy” from Wikipedia, Native Americans are protesting for the given stereotypes based upon them because they believe all the stereotypes, whether positive or negative, are harmful because they promote false or misleading associations between a group and an attribute, fostering a disrespectful relationship. In America, Native Americans are treated differently. Just like in “Totem” by Thomas King: “Listen to that,” said Jimmy, knocking the sawdust off his pants. “It’s still making that noise” (Maybe if we ignore it, it will stop singing. It might even go away to disappear or something) (King) This two sentences showed that Native Americans are being ignored by the government. They are forced to stop learning their culture and lost a lot of rights and experienced stereotypes. According to “Sorry for being a stereotype” by Rita Pyrills, stereotypes cause people to believe all Aboriginals are the same which stops them from learning the history of the true facts about aboriginals. Professors of American Indian Studies at the University of Minnesota: “Since the first Europeans made landfall in North America, native peoples have suffered under a weltering array of stereotypes, misconceptions and caricatures.” (Lumbee) On one hand, Native American sports mascots can reinforce stereotypes in people because they tapped people in the lives they used to live and themselves they used to be; on the other hand, if the sports teams keep using the mascots or names of the Aboriginal people without permission, on contrary, stereotypes about sports teams are increasingly difficult to change because they treat Aboriginal People misrespectfully. Last but not least, maybe some of the Native Americans do not care about using their mascots as sports teams’ logos or names, but the stereotypes people gave them still offenses them. Some aboriginal people’s identity is based on given names and images, but that’s not their true identity. Not all Native Americans are the same, but they are just like everyone else who also have dreams. Stereotypes to Native Americans are not exactly right which will somehow cause damage to them. 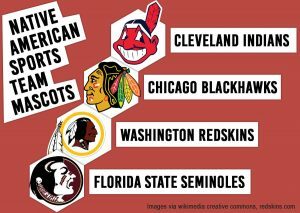 In my opinion, sports teams should reduce using their mascots for names or logos, that’s the common decency and respect to Native Americans. KingThomas. Totem. 5 March 2018. <http://mcdowellenglish.weebly.com/uploads/5/6/1/0/56106105/totem_by_thomas_king.pdf>. LumbeeWilkins&. Native American mascot controversy. 3 March 2018. <https://en.wikipedia.org/wiki/Native_American_mascot_controversy>.